Probably the most popular and most highly regarded of the Summit range! Production of the S175 range appears to have commenced in the years immediately prior to WW2, and continued through until about 1950. The earlier S175 Mark 1 : a single jewel, lever filling item, measuring 133mm approx, and displaying 2 narrow cap bands. The standard pocket clip appears to have been the unbranded stepped model, in gold plate, and the standard nib was a large "Summit 14ct Gold". 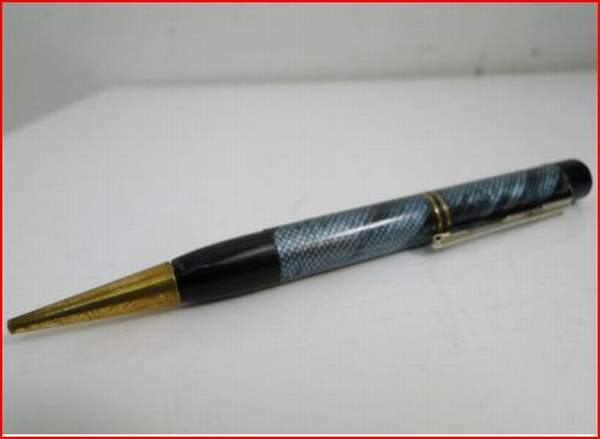 The pen was a popular seller in a chased black design, with a 'pseudo - jewel' in brown at the base of the barrel. (It has been suggested that these were BHR, which have discoloured with age). Examples exist with the variation Summit - Sentinel S175 and Summit - Belgor S175, with no other apparent design differences. The Later S 175 Mark 2: The pseudo jewel of the Mark 1 was replaced with a proper jewel and retaining ring. The pocket clip became streamlined and carried the Summit name, and the chased pattern was discarded in favour of smooth plastics. 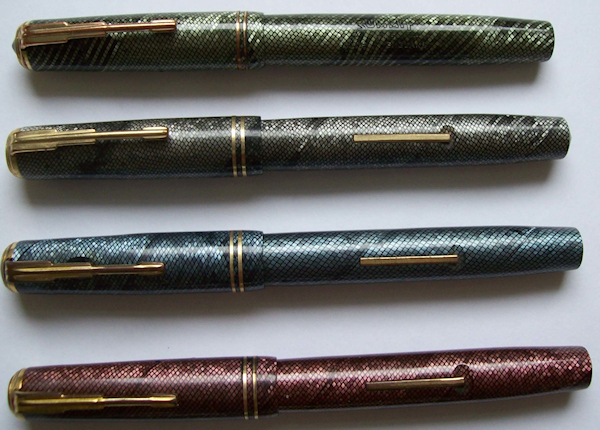 The length, and at least initially, the nib appear to have remained unaltered, although later pens often appear with warranted nibs. 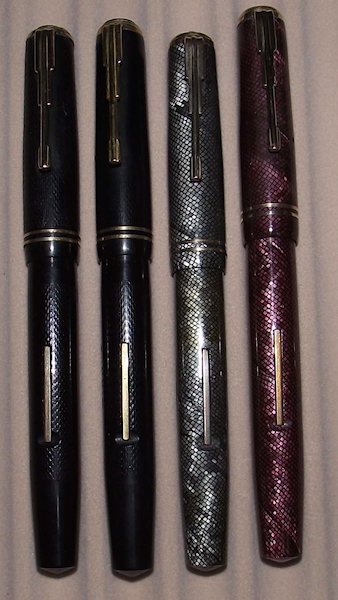 Lizard skin examples seem to be scarcer in the Mark 2 design, although Copper, Turquise Blue and Olive Green are known to have been sold. The plain colour range was expanded, to include Black, Burgundy, and Grey. 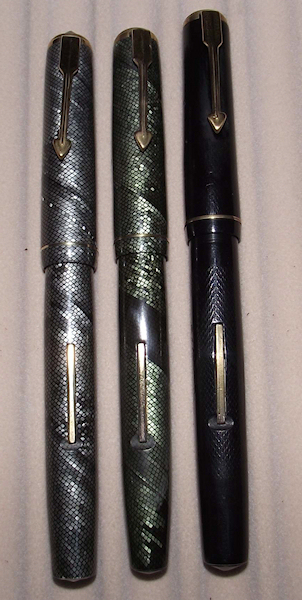 Matching Mechanical pencils were manufactured in the plain colours. 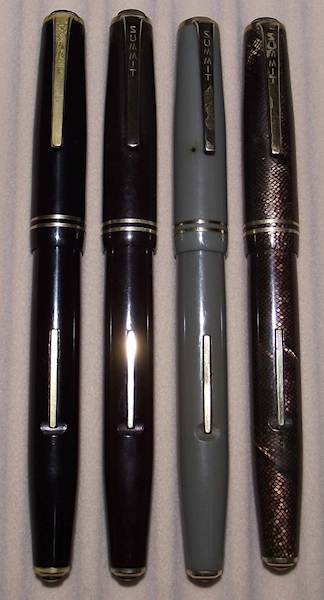 The Mark 2 model appears to have been the basis for pens manufactured for the “Savoy” brand. This is covered in a little more detail in the Company History area, but I believe that when the company was wound up there were a significant amount of 175 parts in stock. 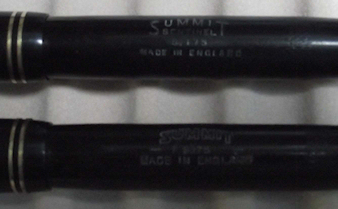 The example below is clearly a S.175 Mark 2, except there is no barrel stamp, the nib is an osmiroid, and the Summit name on the pocket clip has been methodically defaced.